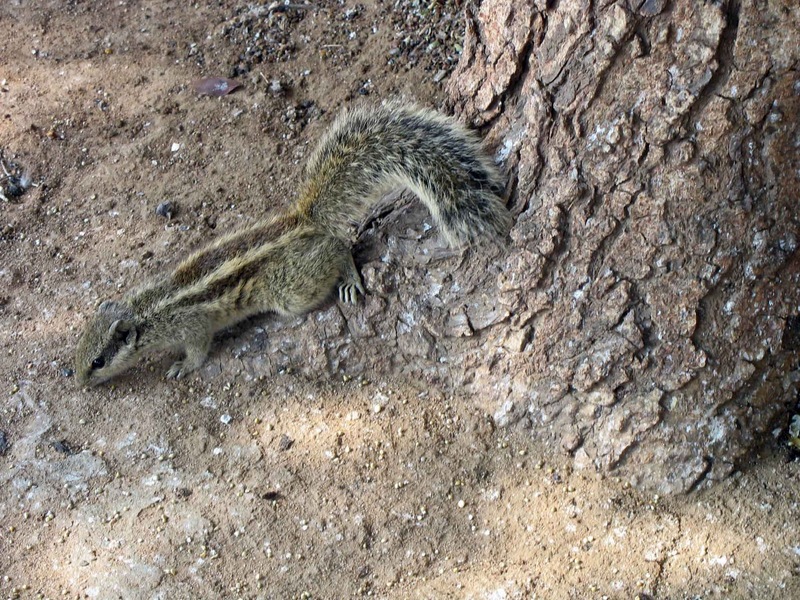 These are photographs of three-striped squirrels which are found in South-East Asia. They are also known as Northern Palm Squirrels or the Three-Striped Palm Squirrels. They seem to thrive even in the cities. This is the only kind of rodent which is liked and welcomed by most of us! The first two photographs were taken in Ahmedabad, India. 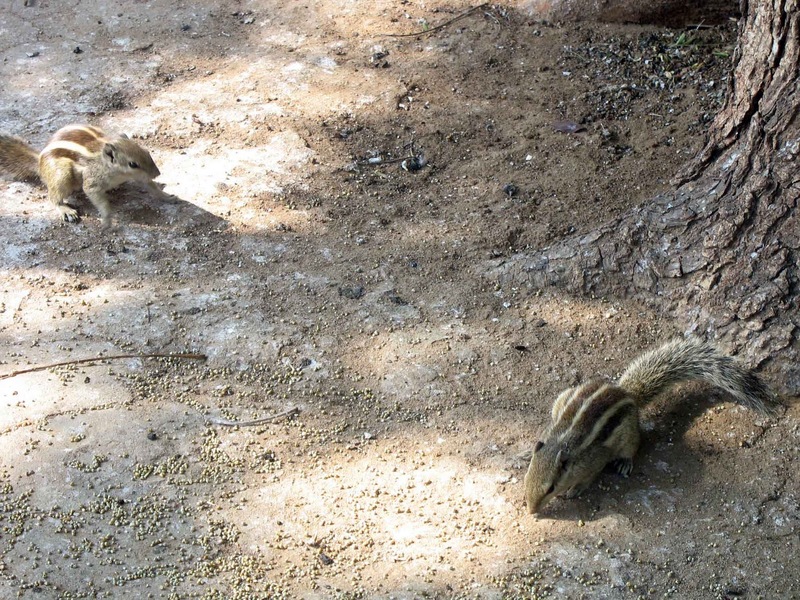 There is a mythological connection too, and that is why these squirrels are revered in India. In mythology it is believed that Lord Rama stroked this creature and that is why it got its stripes. You can read about this here. 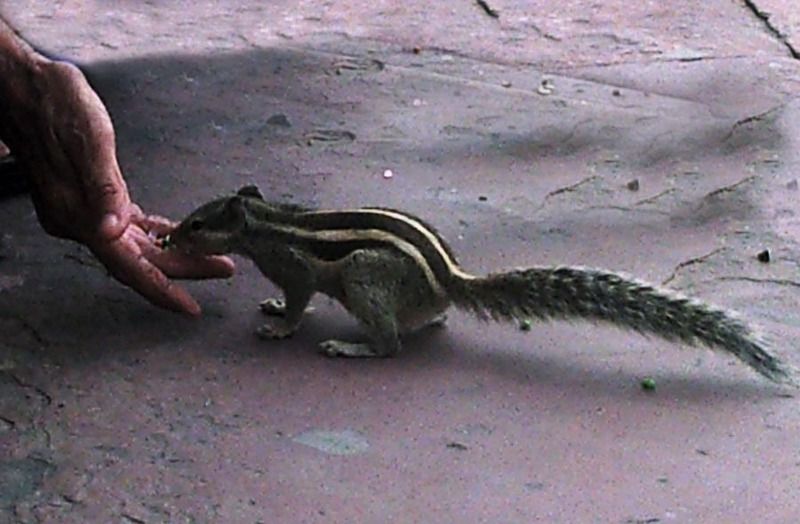 In most places they are quite friendly and fed by people. This particular shot was taken at a tourist place (monument) in northern India.